Korea is located in Northeast Asia on the Korean Peninsula, and is surrounded by countries such as China and Russia. The Korea Strait separates Korea from Japan, which is to the east. Korean gardens are highly influenced by those from China, and tend to have a minimalistic and subtle style. Hibiscus syriacus is South Korea's national flower. It is also known as the Rose of Sharon, and symbolizes immortality. In Korea, it is called Mugunghwa. The flowers are pinkish-mauve in color, with deep magenta eyes. They are part of the Malvaceae family, and are deciduous shrubs. They grow between 8 and 10 inches in height, and 6 to 8 inches in width. Their five-petal blossoms are showy and appear in the months of July, August and September. The foliage is a greenish-yellow color. Hibiscus syriacus thrives in well-drained soil with a pH range between 6 and 6.5. It should be planted in full sun, although partial shade can also be tolerated. Gentiana is a common flower that exists in Korea. It is a flowering plant genus that is comprised of approximately 360 different species. Gentiana is part of the Gentianaceae family, which include perennial, biennial or annual herbs. Gentiana has opposite leaves, which usually are not whorled. They are occasionally situated in basal rosettes. 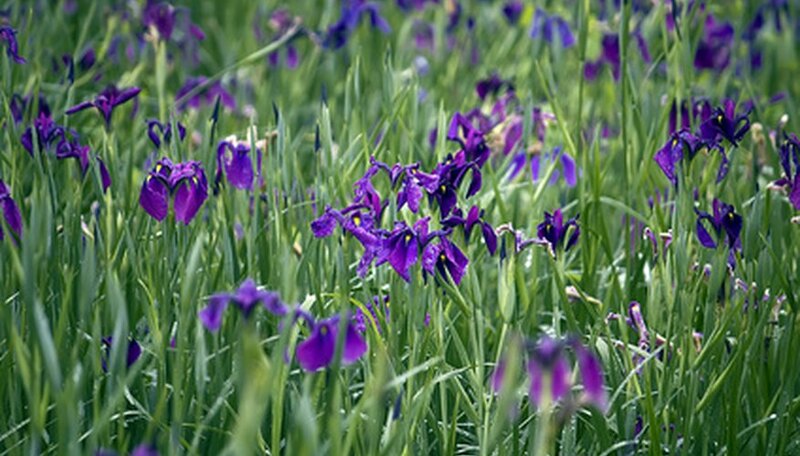 The flowers are shaped similar to trumpets, and tend to be azure or dark blue in color. However, there are some other less common colors for Gentianas, which include yellow, cream, white and red. The flowers, which are terminal and tubular, are extremely hardy as a rule and thrive on either full sun or partial shade. They are common fixtures in rock gardens. Erythronium is a common perennial flower in Korea that blooms in the spring. There are between 20 and 30 different species of Erythronium. They are notable for their showy pendant flowers, and also occasionally for their mottled leaves. Erythronium thrives when in shade. The flower is also commonly known as dog's tooth violet, trout lily, fawn lily and adder's tongue. The bulbs of erythronium can be consumed as root vegetables, either dried or cooked. Ground-up erythronium bulbs can also be used to produce flour. The leaves can also be eaten as vegetables. The flowers are generally cultivated as ornamental plants.